Experience...We teach from ours so yours will be more memorable. Our annual full-day paddle is scheduled for Saturday, September 22. Depending on lake conditions and wind direction, we launch from either Mayville, NY or Lucille Ball Park in Celoron, NY. As we take on the challenge of kayaking the length of Chautauqua Lake, periodic brief stops will be made as needed. Lunch is provided at the Village Park in Bemus Point. The cost for this event is $25 if you need to rent a kayak; $10 if you have your own gear. The fee includes shuttle service and lunch. Paddle experience and at least a 14-foot kayak are recommended. Call Evergreen Outfitters at 716-763-2266 for more details and reservations! Sweet Pea is practicing for Summer's End-to-End Paddle! Where will you store your kayak, stand-up paddle board or canoe this winter? 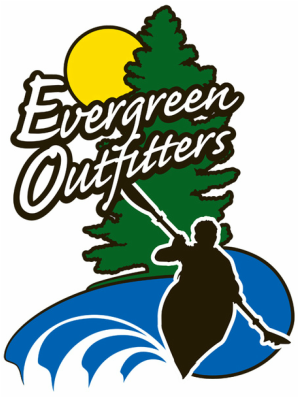 We have the perfect spot, right here at Evergreen Outfitters! For the total cost of $150, we will pick up your water craft, clean it and treat it with 303 protectant, then store it in a dry environment. Need repairs? We can take care of that over the winter, too(additional fees may apply)! Come spring, your boat or board will be cleaned and treated again, then delivered to you at your convenience. What a great deal! Get out and play on the water or sign up for a summer event! From beginner to pro, we'll help you find the best rental, lesson and/or outing for you. So are you ready for something new this summer? What's next? Join us for a paddle lesson or kayaking tour along one of Chautauqua County's many waterways. Please call 716-763-2266 to make a reservation for any of our outings. We teach from our experience, so that yours will be more memorable. Visit our blog to learn more! Where do you go to play?